The Numidia was carrying trains and parts when it sank in 1901. Today, people can still see some of the cargo which has been well colonised by sea life. 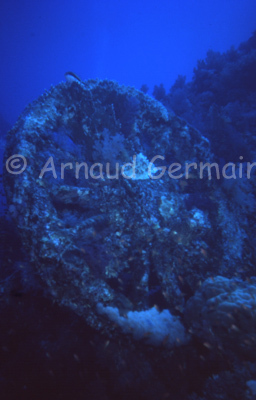 This is a train wheel, 30m down.